Sometimes your Mac’s network activity can seem like a black box. There aren’t that many system tools for analyzing network activity, and Terminal commands like netstat vomit a ton of data that’s hard to sort through and understand. Fortunately, you’re not the only one that wants to find and control the apps using your network connection on macOS. You can check out these following options for managing your network connection on your Mac. 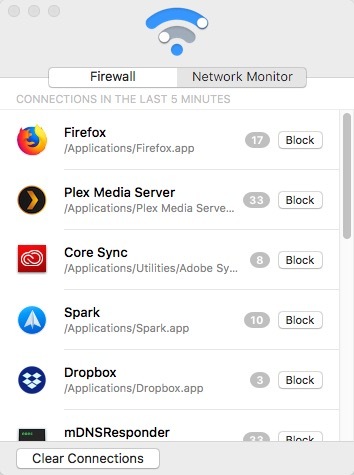 If you want an extremely rough overview of the apps using your network connection, you can find that under the Network tab in Activity Monitor. You can quit apps directly from Activity Monitor, which is one of its benefits. 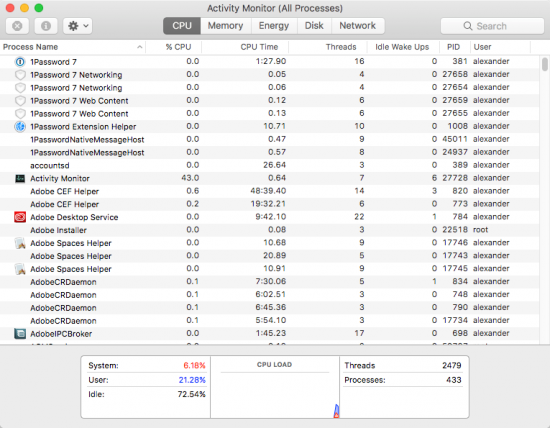 But you won’t get a super granular idea of what’s happening right now on your Mac. 1. 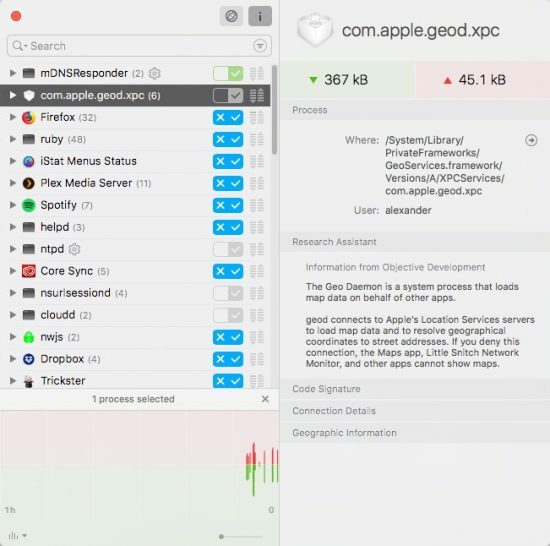 Open Activity Monitor from “/Applications/Utilities/Activity Monitor.app” or type “Activity Monitor” into Spotlight. 2. Click the “Network” tab at the top of the Activity Monitor window. 3. 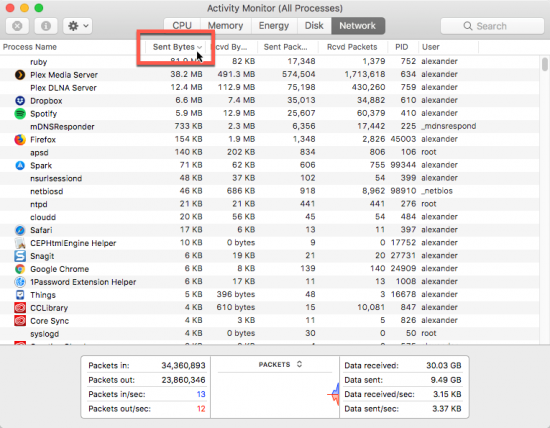 To see the most active processes, click the column titled “Sent Bytes” to see the processes sorted in order of amount of data sent. 4. You can also click on other column titles to sort by data received and packets sent and received. 5. To quit a misbehaving app in Activity Monitor, click the application’s name and click the stop sign with an X on it in the upper left of the window. 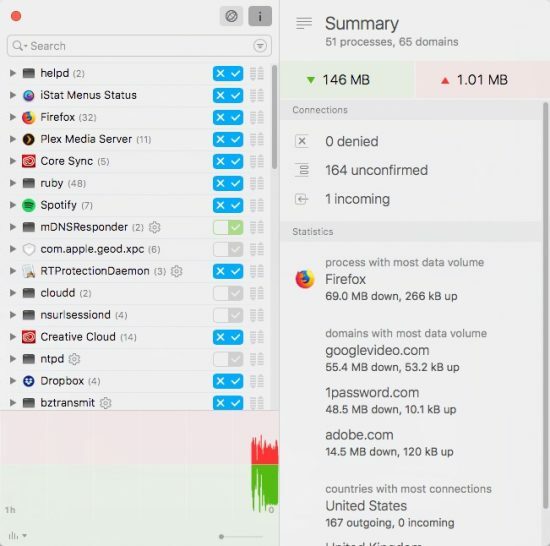 Loading is a free menu bar application that monitors the applications currently using your Internet connection. It also displays the apps that have recently used your Internet connection and has options for detailed breakouts of traffic. All this lives in a tiny menu bar app, and it’s free, too! 1. Download and install Loading from the developer’s website. 2. 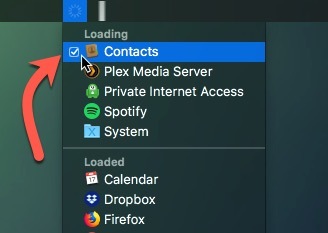 If your Internet connection is currently active, you’ll notice a new addition to your menu bar: a spinning loading icon. This indicates that there is traffic on your network. 3. Click on the Loading icon to reveal a dropdown menu. Under “Loading” you’ll see applications currently loading content over your Internet connection. Under “Loaded,” on the other hand, you’ll see apps that recently finished downloading content. 4. Hold the Alt/Option key on your keyboard while clicking the Loading menu bar icon to reveal a much more detailed dropdown menu. This shows the process identifier (PID) for each application as well as each application’s resource path. 5. You can use the PID to kill a misbehaving application with a Terminal command like kill 410. That particular command would kill Spotify, which is PID 410 at the moment. Replace that with the process number of the app you want to kill. 6. If you want to suppress the spinning icon in Loading’s menu bar icon, tick the boxes next to each application. The icon will only spin for activity under checked applications, allowing you to be graphically alerted if an unexpected app starts using the network connection. Radio Silence is a paid app that allows you to block Internet access for specific applications and processes. It also allows for real-time monitoring of Internet traffic. A trial is available, but the app only costs $9. 1. Download and install Radio Silence from the developer’s website. 3. Click the “Network Monitor” tab. 4. At first the tab will be blank. But after a couple seconds, applications connecting to the Internet will appear. 5. 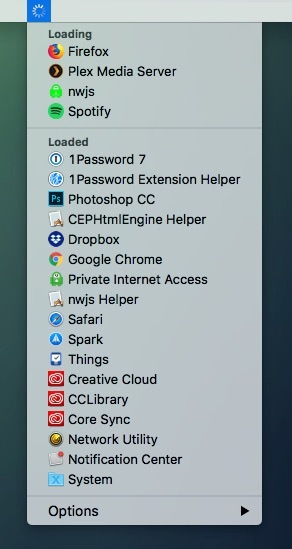 In addition to this list you’ll see the number to active connections next to each application in a gray bubble. Next to that is a button that blocks an application from connecting to the Internet. 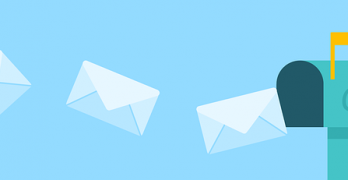 This “Block” button will add an application to Radio Silence’s blacklist, prohibiting any future incoming or outgoing network connections. 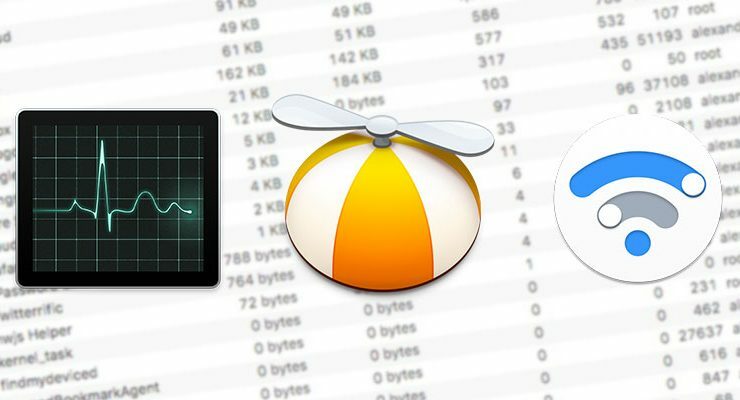 For total insight into and complete control over your Mac’s Internet connection, you’ll want to use Little Snitch. It’s a paid app, but it provides enormous control, allowing you to block or allow traffic on a process-by-process basis. 1. Download and install Little Snitch from the developer’s website. You’ll need to reboot your Mac during the installation process for Little Snitch to insert its network monitoring daemons. 2. Little Snitch’s tutorial is helpful, so click through it to learn how the app works. We care most about the Network Monitor, which should launch automatically when the tour finishes. 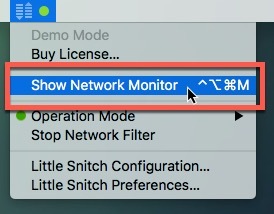 If you need to launch the monitor manually, click on the Little Snitch icon in the menu bar and choose “Show Network Monitor” from the dropdown menu. 3. The Network Monitor will display all the active connections and their associated processes and applications. 4. Click on an application or process name to learn more about what the process does. 5. To block a process’s network connection, click the “X” next to the process’s name. This is “sticky,” so that process will be refused network connectivity until you explicitly permit it. 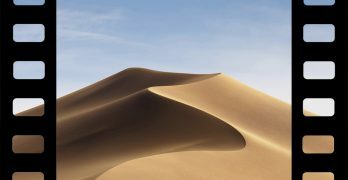 While macOS doesn’t offer many built-in tools to monitor the network connection in a useful way, there are a number of third-party applications that fill in the void. If you need serious management of your Internet connectivity, you’ll want to use Little Snitch. If you have a casual interest in your network activity, Loading will be less of an investment.